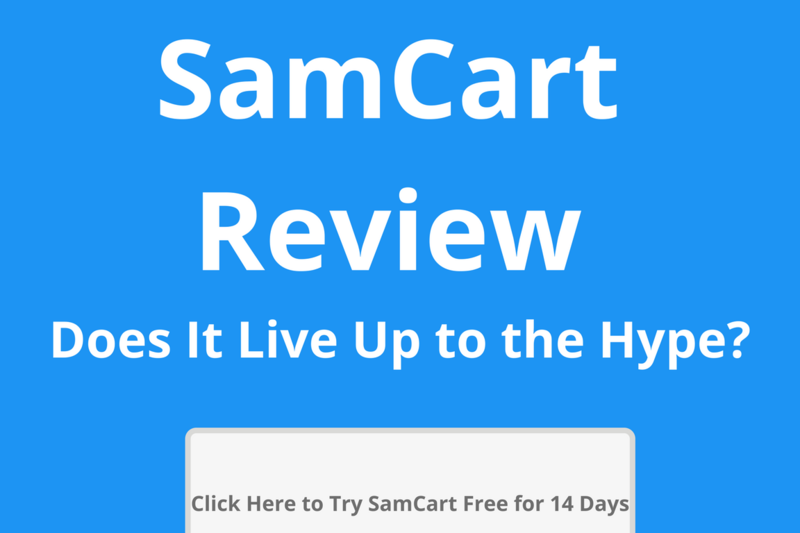 SamCart Review: Does It Live Up to the Hype? Over the past year or so, I’ve been seeing SamCart everywhere. But now with SamCart, your subscriptions are being guarded from declined payments and expired credit cards. Whenever a payment fails, SamCart sends your customer an email on your behalf - the email has a link where customers can update the payment they have on file, directly from their inbox. That means you don’t have to waste your valuable time hounding down your customers. SamCart allows you to create your own personal army of affiliates that will sell your products for you with the Affiliate Center. SamCart automatically generates an Affiliate Signup page for you - that’s where others can apply to promote your products. Add upsells, create coupons, split-tests, etc. If you’re someone that wants to set up a shopping cart quickly and easily, SamCart is for you. You can get up and running in under thirty minutes. I set all my stuff up in about twenty minutes, but that’s probably because I watched a few YouTube videos about it beforehand. I didn’t get a chance to integrate SamCart with a lot of tools, simply because I don’t use that many. I use mainly use OptinMonster, Drip, PayPal and Stripe. Interested in learning more about OptinMonster? Check out my review here. If you're interested in learning more about Drip, I wrote a review of that too. SamCart allows you to seamlessly sync with a bunch of tools, including email, marketing automation, membership, and payment processing. It was super easy for me to integrate my entire system with SamCart and I imagine that it would be the same for the majority of people out there. I’ve been reading on different forums how easy it was for people to integrate Kajabi, Infusionsoft, Hubspot, MailChimp, Aweber, and more. However, my toolbox is fairly simple, so I can’t discuss this in depth in my SamCart review. My favorite SamCart feature is hands-down the awesome training and customer support that they provide. They have tons of videos in what’s called their “Knowledge Base” that shows you how to use their software (even though it’s already pretty easy) and they provide a lot of education on how to make more money if you’re selling online. Even at the Premium level, SamCart is an absolute steal with all the features they give you. However, I’ve found that the Basic is good enough for many online entrepreneurs, but if you’re doing a lot of business online, you want to get the Pro plan. Also keep in mind that if you’re looking to save some money, they give you a discount if you pay annually. I suggest that you take advantage of their free trial (to make sure that it’s definitely right for you) and then paying annually to save money. If you pay annually, the Pro plan is $888 per year (which saves you $300) and the Premium plan is $1,788 per year (which saves you $600). According to SamCart, the average SamCart seller makes up to 5X more than the average seller on other platforms. What do you have to lose? Get started now.